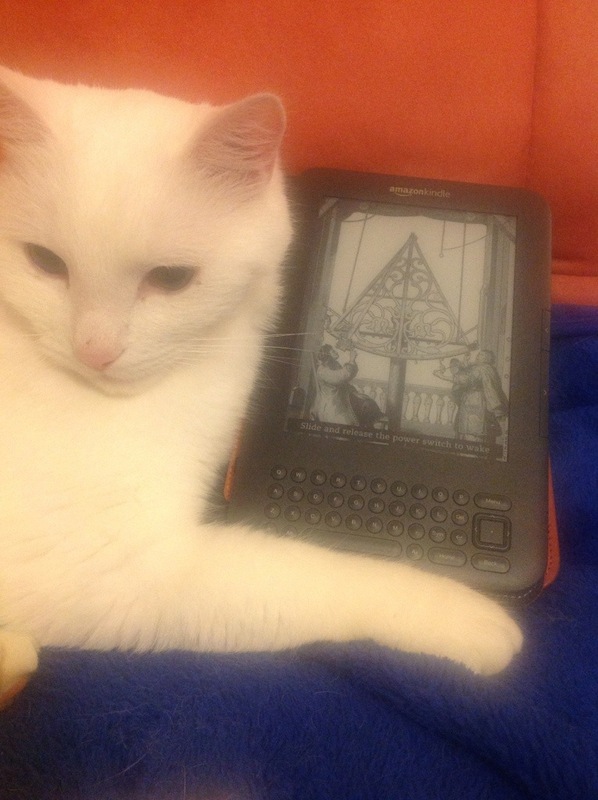 I’m referring to the Kindle, of course, not the white furball. My primary mode of transport here is the tram. Or the train, depending on where I’m headed. I actually enjoy my daily tram rides. I don’t have to keep my eyes on the road, or look out for cyclists and pedestrians, or worse still, look for directions. Instead, I get to be alone with my thoughts. I get to observe other people and the outside world. Sometimes I test my rudimentary German by trying to eavesdrop on the conversations of my fellow commuters. And when I run out of thoughts, or when other people and their pets no longer amuse me, or when I realise how rude it is to listen in on the conversations of others, I start reading. Thanks to my Kindle, and to the efficiency of the local tram system, running errands is never a chore. This entry was posted in Blog and tagged commuting, ebooks, Kindle, reading. Bookmark the permalink.